Manage all your team member information in one place. Team members can be coaches, team managers, players, parents, trainers, club officials, etc. Our unique members list view allows you to view all important members information all in one place for easy access. Add members to your team with an email address and a name, and let them complete their profile. Profile includes all the information you need to contact the member. For member privacy, contact info can be hidden from other members, viewable only to team managers. Members can allow contacts to view or manage their profiles with their own login information. 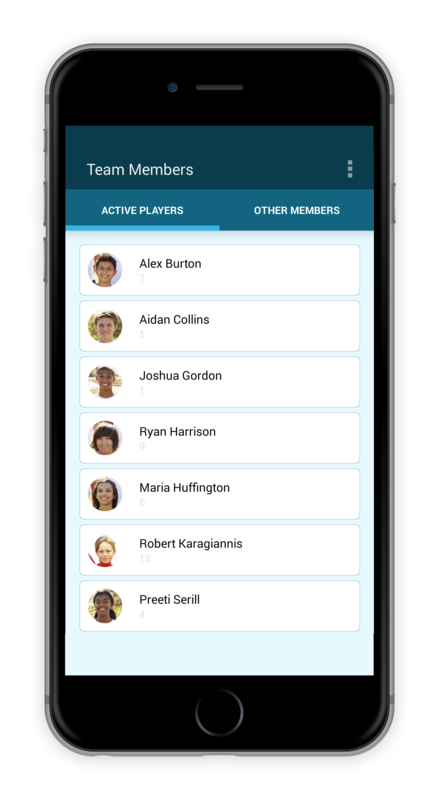 Parents, trainers, spouses, friends and others can access TeamTracky on behalf of the members, check their schedule, set availability, read messages, etc. 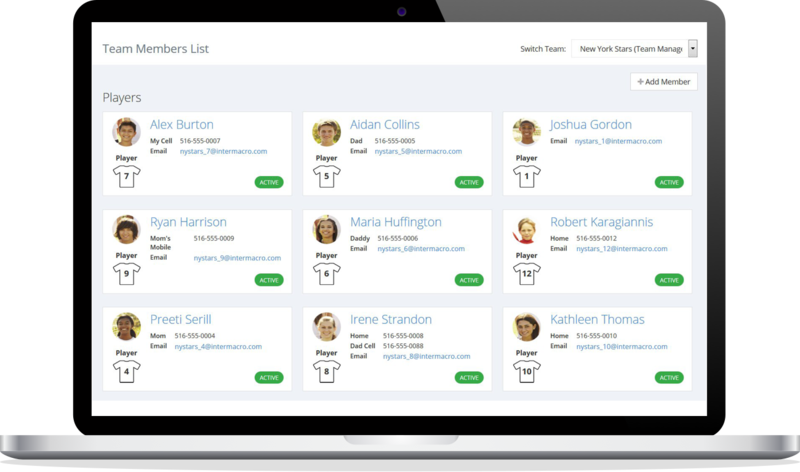 Capture extra information about your members by defining custom profile fields. Members can select from predefined options or enter text based on the field type you define. Copy or Move members from one team to another in seconds. Simply select the team you want to copy or move a member to and all the member's information will be transferred to the new team. Your rosters change often? Remove members with the same ease. Import members from a list of emails and names or a text file with ease. Export your team's roster to a file and import it to another team, or print it and use it to register the team for tournaments and other events.